Pour it up: Stockton celebrates annual Beer Week. Beer enthusiasts sample local breweries at the Abbey Trappist Pub during Beer Week. Stockton Marks Beer Week on August 22–31. More than fifteen venues around the Stockton area, mainly on the Miracle Mile, celebrated and recognized local breweries by promoting various crafted beers. Among the venues that participated during the festivities included the Abbey Trappist Pub, Centrale Kitchen and Bar and Valley Brewing Company. “Stockton Beer Week was created three years ago by the Downtown Stockton Alliance to allow our local venues to showcase local beer as well as allowing the venues to showcase their menus”. Creating the beer is a complicated process and difficult to explain”, according to Executive Director for the Miracle Mile Improvement District Mimi Nguyen. Kiel Batanian, assistant manager of the Abbey Trappist Pub agreed. “It is a very long process that requires years of careful licensing,” he said. 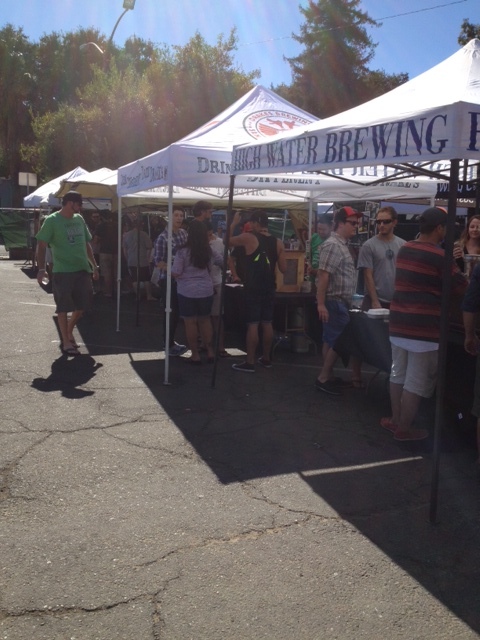 Many of the breweries available during Beer Week were distributed and created in Turlock said Batnian. Pale Ale and hoppy-style crafts were popular. Venues promoted local concoctions in a variety of promotions and deals including happy hour deals, beer dinners and beer movie nights. The Abbey Trappist Pub, for instance, had a Local’s Only Beer Festival. Guests sampled more than 10 local breweries that are located within a 120-mile radius around Stockton. General admission tickets were sold for $15 and VIP tickets were for $35. Local retail venues such as Gluskin’s Photos, Haze Vapors and Kharma Spa & Salon, also celebrated by participating in the Miracle Mile Beer Bingo and Beer Tasting and offered prizes to those that attended. To find out more about next year’s Beer Week, like the official “Stockton Beer Week” Facebook page or go to visistockton.org.